At marla g web design we are passionate about education. Ever year in August we offer an Educators Promotion. This year we are offering 25% off any of our web package services. This promo is available to our next 3 customers SOLD OUT so if you are an educator or know someone who is Contact Us today so you don’t miss this great opportunity. Who Qualifies? This promo is for those that provide education or enrichment (including arts, music, tutoring, sports teams etc…) to youth and adults. 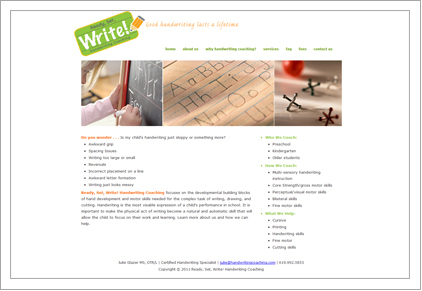 Check out some of our previous education website work below.